A Phoenician letter the Greeks discarded, having no use in their language for a Semitic sound. If the soul has a qualm, the body shows it. The body queries what it means to be true. Quilty! Humbert’s doppelgänger—a sack of feathers? Another name for the quill of a feather is calamus, from Greek, kalamos, reed. Who first filled a quill? The Phoenician Q meant qoph, monkey, its tail lingering in the language. I propose introducing some English words that use Q, but not U, naming new conditions that will kill Scrabble players, among others: qib, the eye disorder that results from staring too long at a computer screen; qell, the nausea that accompanies the mixing of incompatible therapeutic drugs; and qatch, the moment before the articulation of a sound, that split second when the brain tells the throat and tongue to speak. 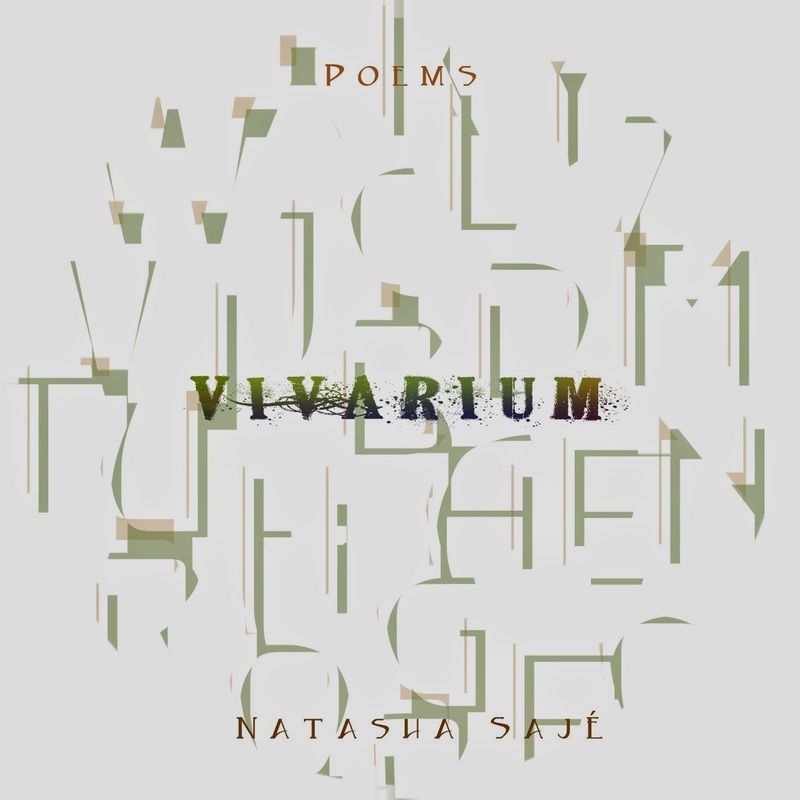 I’m fascinated by American poet Natasha Sajé’s third trade poetry collection, Vivarium (North Adams MA: Tupelo Press, 2014), a collection built as a kind of lyric abecedarian. As the back cover informs, “A Vivarium is an enclosure for living things, which might likewise be said of a poem.” There is something quite compelling in the playful way in which Sajé’s poems stretch, bounce and lean, accumulating themselves into a kind of map-making structure, opening into parts both familiar and unknown. Poems are included alphabetically, titled either by single letters or phrases, and left to accumulate towards a structure that is held together with ease; a single unit that is playful, tight and almost bulletproof. As she writes in the poem “S”: “we say one thing is not another thing / and in this language every letter is pronounced [. ]” One might say that terrain is all over the place, and it includes the Phoenician alphabet, Greek history, philosophy, Herman Melville, George Harrison, classical paintings and fairy tales, but she manages to weave both a complex and simple tapestry across great distances. “Easily the nicest bit I’ve read all evening,” she writes, to open the poem “Vanessa Redgrave Marries / Franco Nero After Forty Years,” continuing: “fine piece of frivolous / gossip that is also oddly gratifying.” This is a quietly smart, thoughtful and even mischievous poetry collection, and one that manages to end up in the most unexpected and playful places. The finest description I can imagine for Natasha Sajé’s Vivarium is that this is a book made up entirely of living things. And what wonderful things they are. drag you around a volcano’s rim. with sparkling pools and attentive staff. hordes scratching dirt with rakes. I don’t know how she does it, but reading the poems in this book makes me enormously happy. And how often does that happen? Not often. I think of Elizabeth Robinson and Sylvia Legris, of Cole Swensen and Pattie McCarthy, and not too many others. And now: Natasha Sajé.